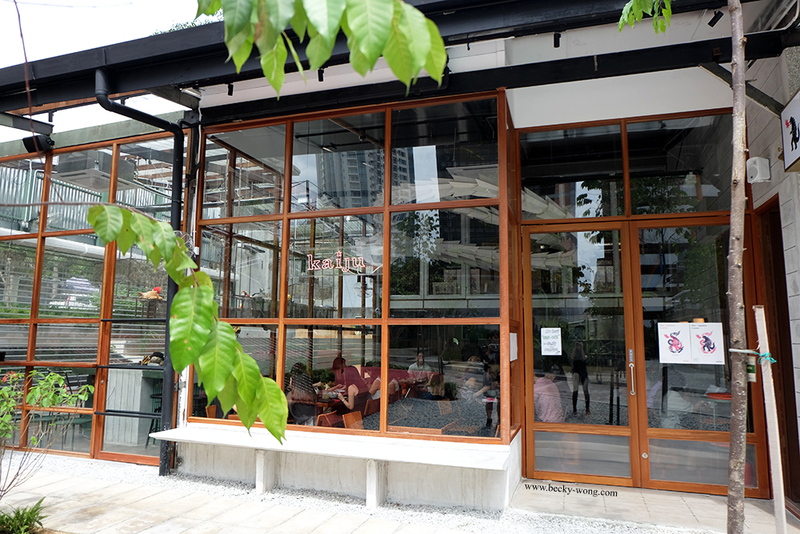 For the past few months, APW Bangsar has gone through some cool transformation, with a few new dining venues. 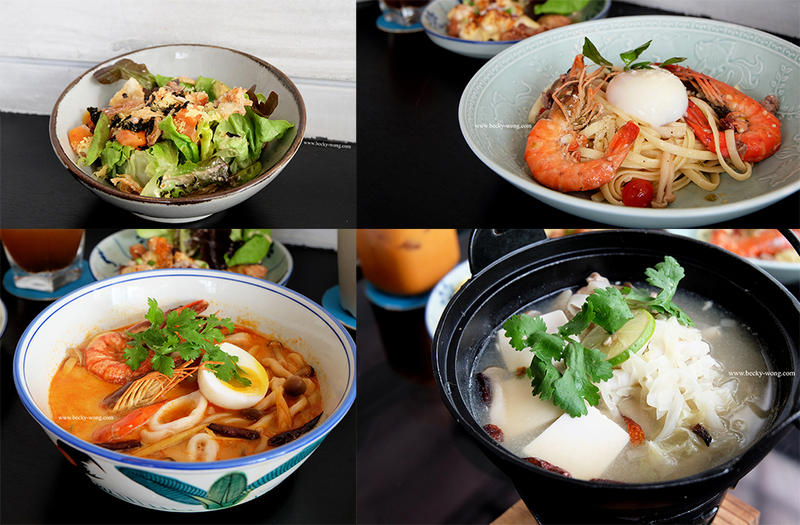 One of its latest tenants is Kaiju Company, a Thai-Japanese fusion restaurant offering interesting dishes such as tom yum, rice bowl, udon and tuna tataki and many more. Walking pass PULP and make a right turn, Kaiju is located just few doors down from the famous and ever-crowded Breakfast Thieves. During the day, the place is nice and bright with natural sunlight; while the 30-meter origami dragon lights up like a lantern after dark. Ekamai Salmon Salad (RM 22). 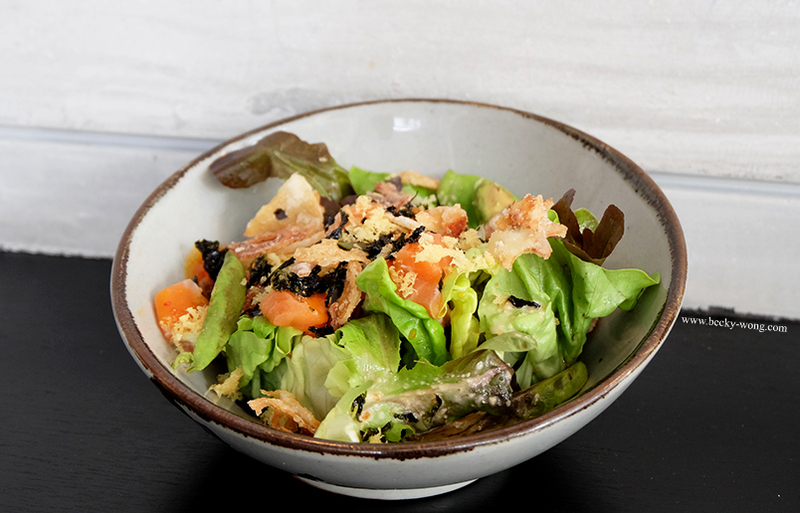 Fresh salmon, mixed green leaf and avocado tossed in Thai chili sauce and Goma Tarik - light and refreshing, yet have enough crunchy texture to kick-start a meal. Aroi Tori Karaage (RM 18). 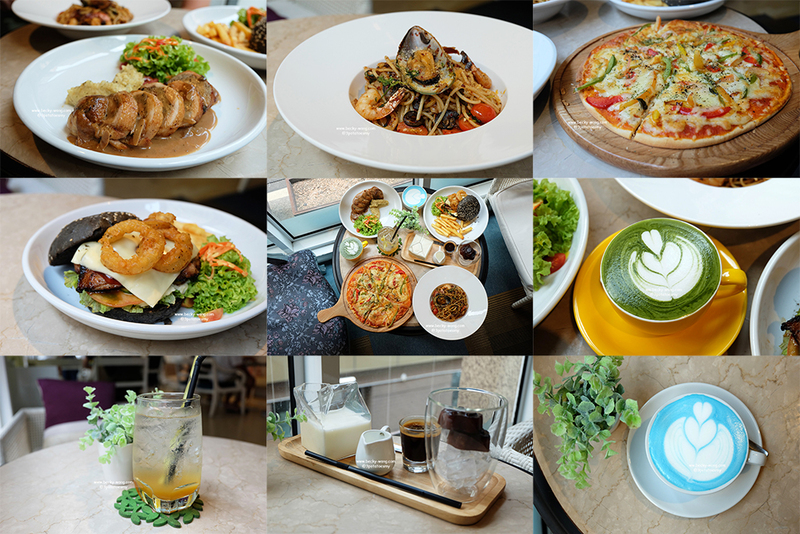 The flavours were ok, but the texture was a tad tough (which could be due to the duration of us taking the food photos). However, I like the yuzu salad at the side, which is perfect in balancing out the heaviness of the fried chicken. Okinawa Bittergourd (RM 18). 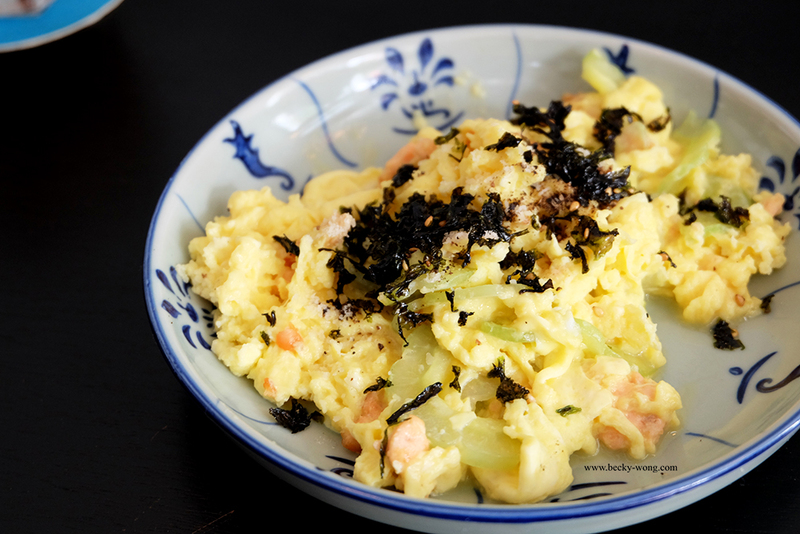 Okinawa-style omelette served with bittergourd and cube duck. The omelette was nice and fluffy, and I was surprise how subtle the bittergourd flavours are. The dish could be enjoyed even for those who don't like bittergourd. Spicy BKK Street Pasta (RM 28). 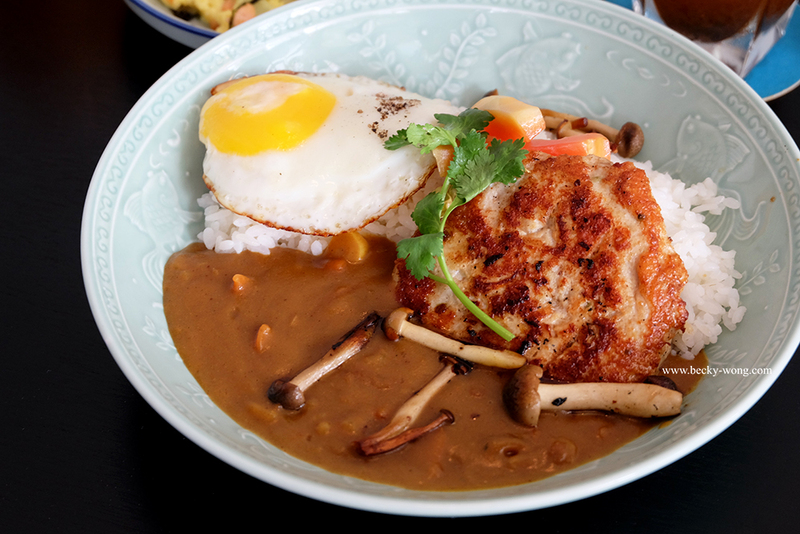 This was one of my favourite dishes at Kaiju. 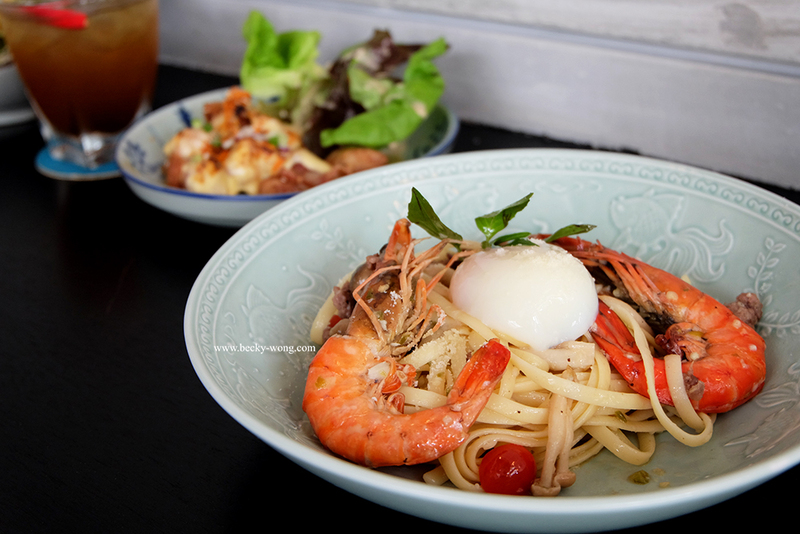 Along with lime-based sauce, the pasta was served with prawns, lamb and cheese. The tangy and spiciness of the pasta reminded me of Thailand street food. Hawaiian Kaiju Rice (RM 26). The curry has nothing much to shout about but the chicken patty was definitely a big hit on the table. 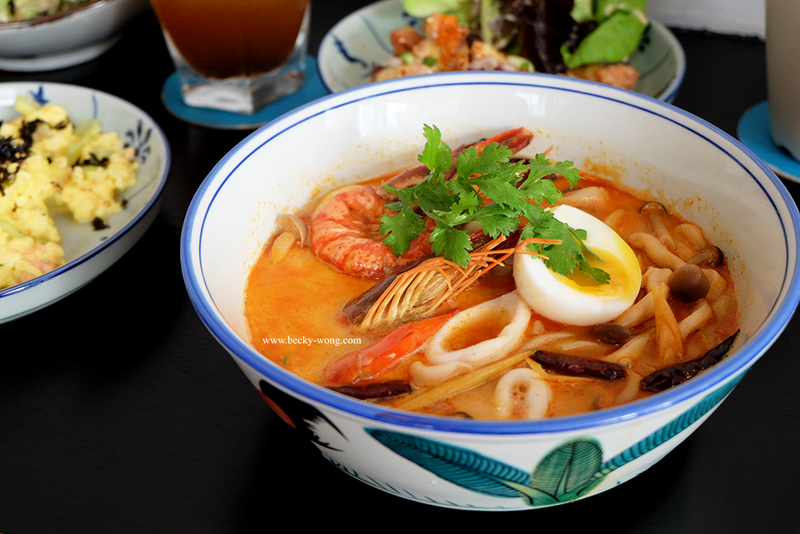 If you love creamy tom yum, or just about anything that is creamy... go for the Tom Yum Udon (RM 26) with fish paste, prawn, squid and mushroom. Though I like the spiciness of the tom yum, the creaminess of it might too jelak after a few bite. 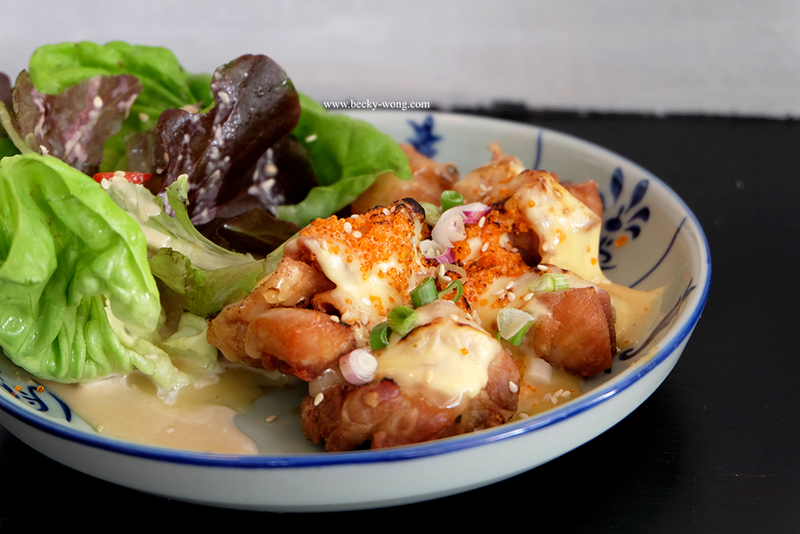 Seemingly harmless, but the Salmon Manow Nabe (RM 26) is one serious contender in its spiciness. 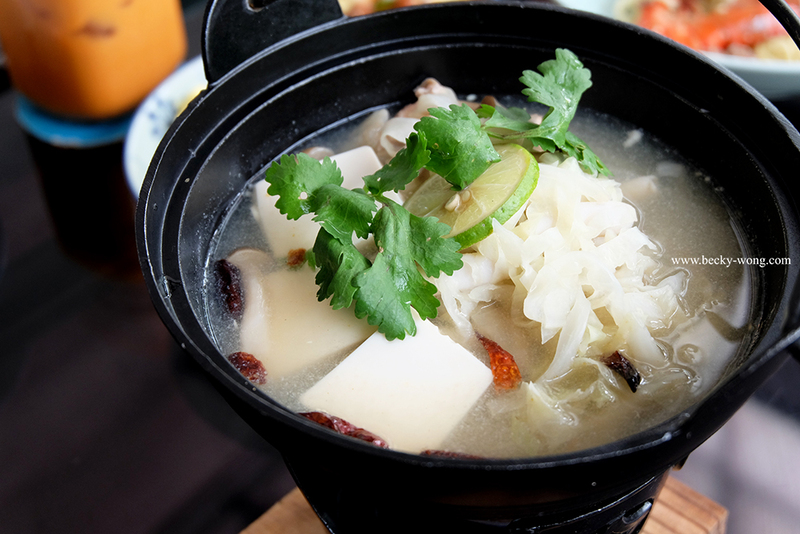 The heat might be over the roof for some, but the sour-spiciness soup would definitely keep you going back for more and it goes SOOOOOOO well with bowl of rice! Sake+Asamboi (RM 20). 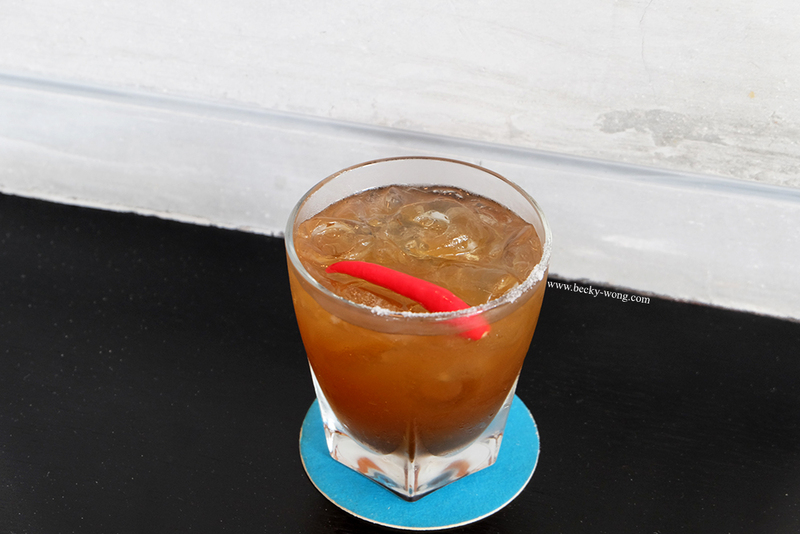 One of the popular drinks at Kaiju. Never would I have thought the combination of sake and asamboi would be so good. I was expecting the drink to have some "kick" from both sake and the heat, but turned out the chili is just for garnish and the sake was very mild. A highly recommended drink if you prefer something less intense. Compared to the Sake+Asamboi, the Hot Yuzu (RM 10) was kind of a let down. 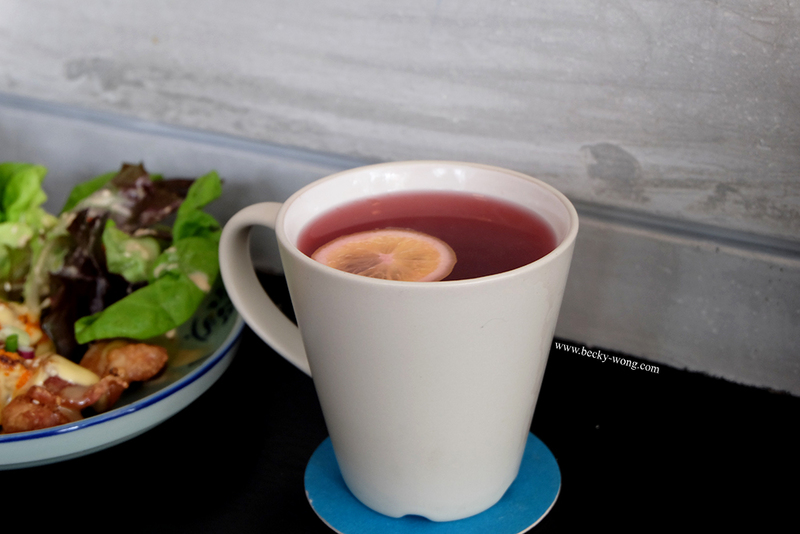 Instead of the citrusy flavours of yuzu, it tasted sweet. I'm not sure if they have added too much sugar by accident. 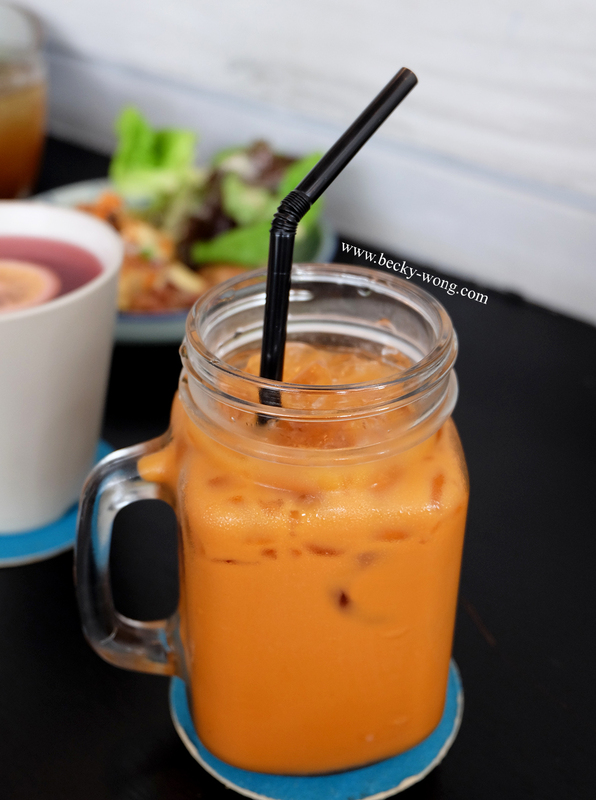 Thai Ice Tea (RM 10). I only wish it has more pronounced flavour of tea. Lemongrass - Cold (RM 10). 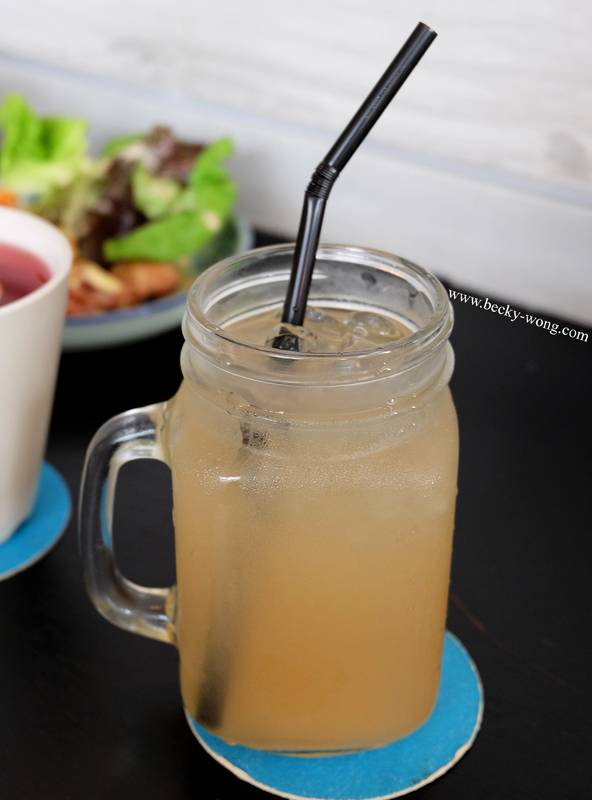 For something as aromatic and strong as lemongrass, I was pretty surprised that we could hardly taste it in the drink. Again, if you are into less intense drink, you might like this. Overall, there were hits and misses during our meal at Kaiju Company. However, it is still worth a try and I'd definitely be back for some of the dishes - especially the nabe! On a side note, there are pretty limited seats at Kaiju. We were there just before lunch and the place was already filling up fast. So, do go there earlier if you don't want to walk away disappointed. Also, they do not have a baby chair at the restaurant. So, don't forget to bring along your baby stroller. They accept CASH ONLY, and NO credit card. For more information and updates on Kaiju Company, do visit their Facebook and Instagram.